India vs New Zealand 3rd T20I: Dinesh Karthik was middling the ball well and had Krunal Pandya for company at the other end with the team needing 30 off the last 12 balls. Karthik was dealing in sixes even if the target was looking out of reach. 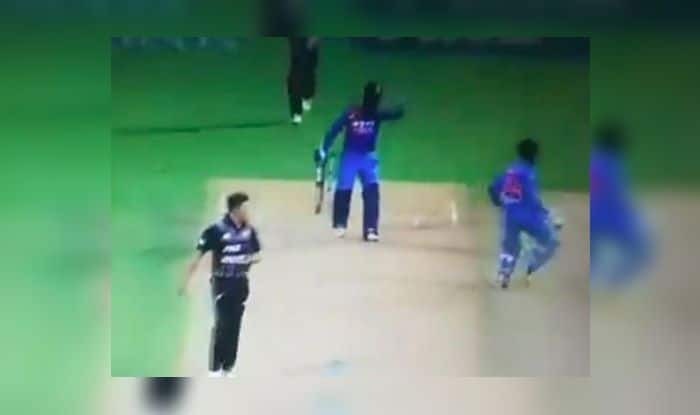 India vs New Zealand 3rd T20I: Dinesh Karthik was middling the ball well and had Krunal Pandya for company at the other end with the team needing 30 off the last 12 balls. Karthik was dealing in sixes even if the target was looking out of reach. The duo brought it down to 16 off the last over and that meant we needed big hits in the final over but given the size of the boundaries in New Zealand, it was not impossible. After picking a couple of runs off the first delivery. The second ball was bowled wide, as Karthik shuffled trying to go leg side. It was a dot ball and that meant the equation was 14 to win off four balls. Karthik the hit the ball down the ground and an easy single was there for the taking, but Karthik decided against it. Eventually, India lost the match by four runs. So, was denying to take a run of the third ball of the last over pivotal in the outcome of the match? Karthik remained unbeaten on 33 off 16 balls whereas Krunal was not out on 26 off 13 balls.